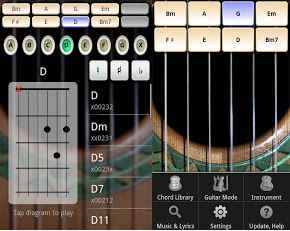 Download guitar app Solo v1.63 apk for android, the most popular virtual guitar application on the Play Store. Play your favorite songs or rough up new ones and GET JAMMING! Very simply put, Solo turns your phone into a guitar. 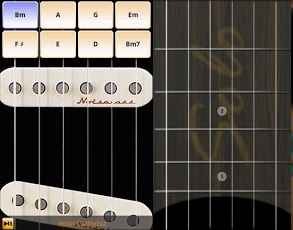 The top of the screen allows you to select what chord position you’d like your virtual hand to be in and then you just strum the entire screen or pluck whatever individual notes you choose. Once you’ve had enough of that, you can head into the chords menu where you can select just about anything you could think of as well as go into the editor and makes some custom ones of your own.